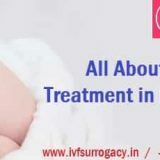 IVF Surrogacy Clinic is the only clinic in India which offer the affordable and reasonable Surrogacy Cost in India for both the procedures and this helps many childless couples who wish to have an own baby but the cost of the treatment stopping them to enjoy their parenthood with their own baby. 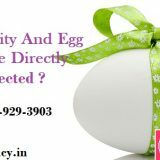 But now with the help of most of the fertility experts in India who came forward to help these childless couples by offering them the reasonable Surrogacy Cost in India which has ease their lot of problems and allow them to enjoy their parenthood happily with their own baby. The cost of the surrogacy in India using the gestational surrogate is around USD 35,000 and with traditional surrogate; it is around USD 30,000 including all other expenses of the surrogate mother such as food, accommodation, maternity clothing, legal charges, recruiting, screening etc. However, this is an estimated cost of the surrogacy in India the actual Surrogacy Price India will be confirmed when you meet the fertility expert. The Surrogacy Price India can also be reduced if you can bring your own surrogate who can be your family member, friends or any relatives who are willing to become your surrogate at less cost or no cost. But in such case, you should make sure that the surrogate which you bring your own should be properly screened for her physiological and medical testing to deliver the highest success rate for taking the baby home. Also, the surrogate should be between the age group of 21 to 35 years and should be young, healthy and fertile.India is a country which is now becoming a most favoured destination for all international patients due to the reasonable Surrogacy Cost in India. India is a country where the pregnancy rates through surrogacy are very high as compared to other countries. People from other developed countries preferred India because here they find the skilled surrogacy professionals who help them in conceiving. Couples from other developed countries find the best personal and medical care in India and also they find the pleasant and comfortable stay here. Surrogacy centers in India are very easy to access and couples from other countries never face any problems to find out the surrogacy centre. The cost of the surrogacy using gestational procedure is USD 35,000 and with traditional, it is USD 30,000 including all other expenses. India is a country which offers the affordable surrogacy treatment but without compromising the quality of the treatment.